1. 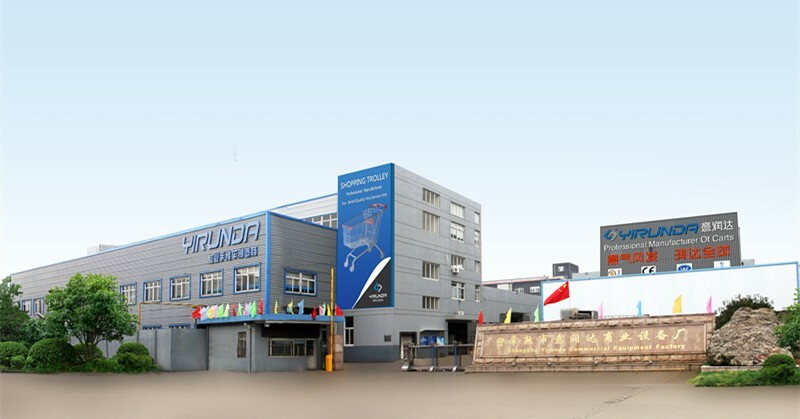 Weld by professional workers, the weld seams are full, good-look, smooth and firm. 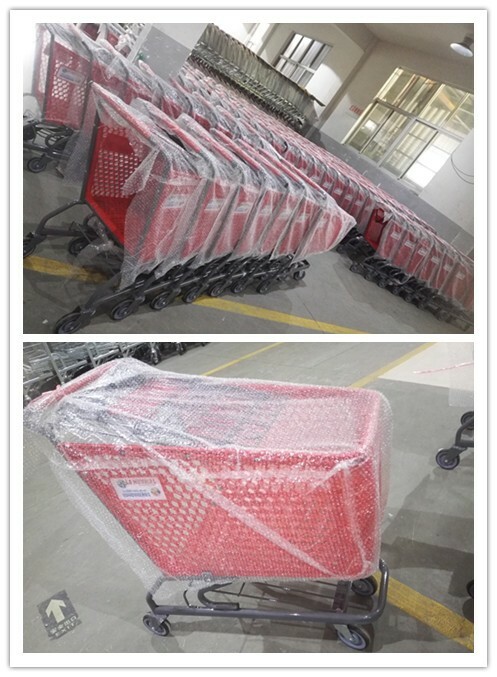 2.High-gloss galvanized, chromed, transparent powder coating prevent them from erosion. 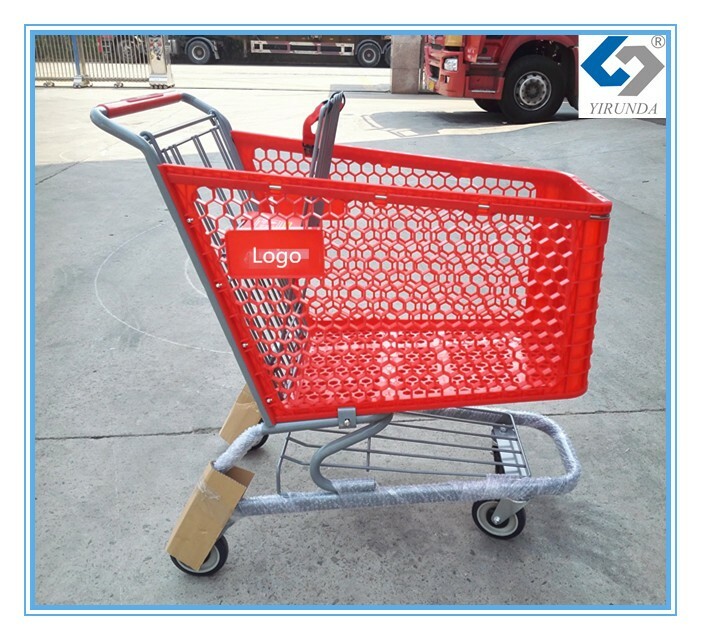 3.Castors with high strength bearing and smooth running. 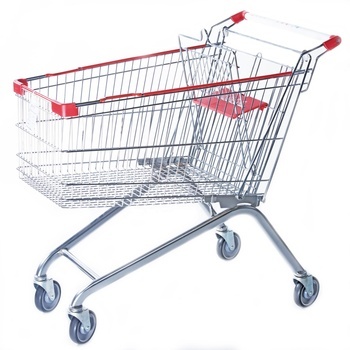 4.Polypropylene plastic basket, food-safe design, 100% recyclable. 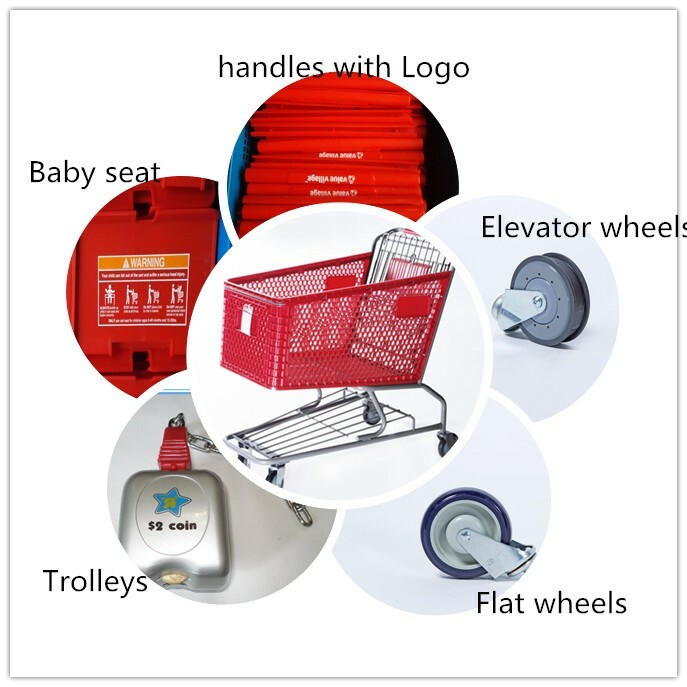 5.Logo can be printed on push handle or side of trolley. 6. 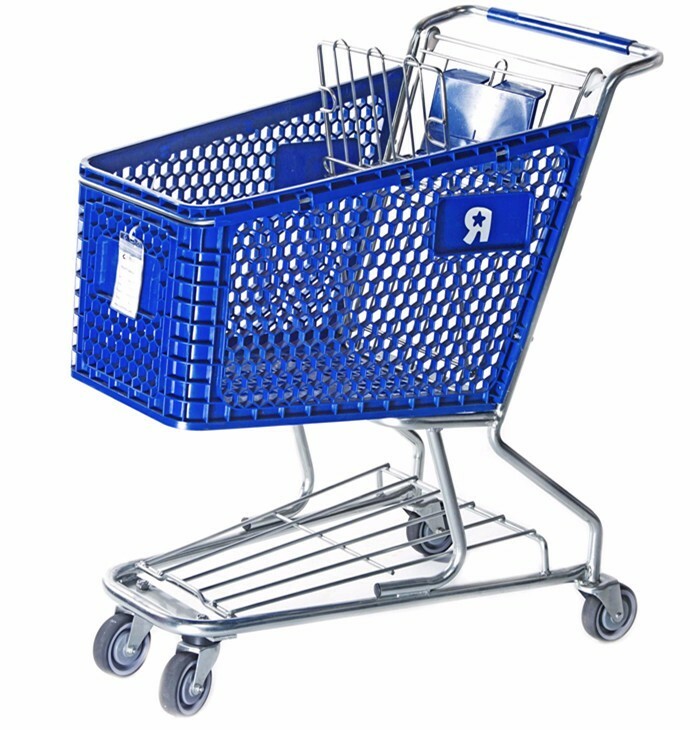 Anti-bumper plastic parts can be fixed at the corner of basket. 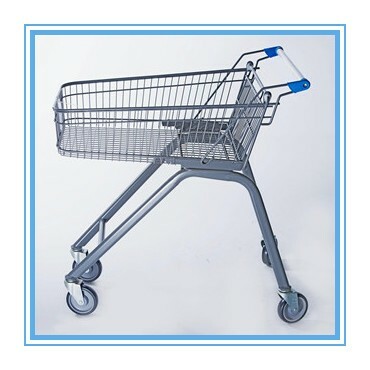 7.Trolley lock (EUR, USD.etc.) 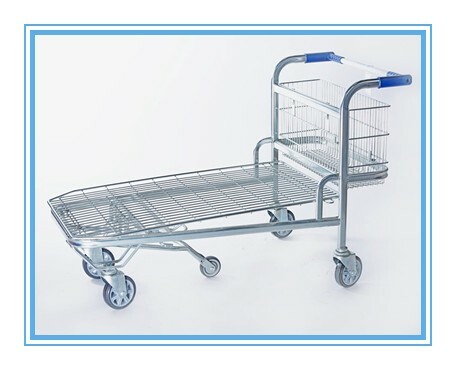 can be fixed on trolleys according to request. 8. 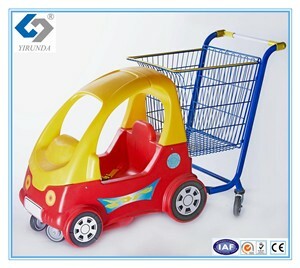 Plastic bumper,baby seat , and logo plate can be selected.